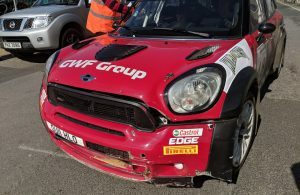 Desi Henry slid up a bank and damaged a wing as well as the rear of his Skoda but didn’t lose much time with the incident and he continues to lead the rally. Alan Carmichael reckoned it was very slippy and hit a chicane. 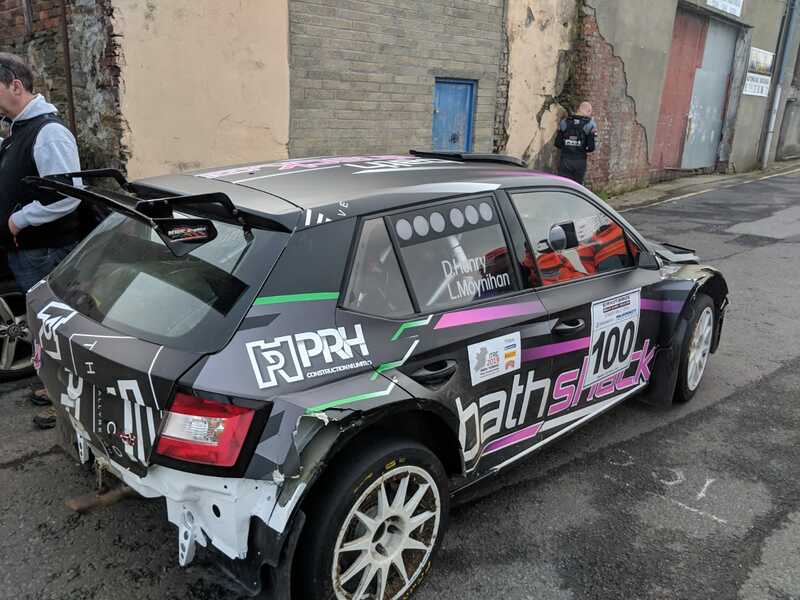 Callum Devine is still struggling with his setup but will hopefully find a solution at service in Strabane. Alan Carmichael had a little issue with his paddlechange and had to revert to manual but was happy and reckons he only lost a handful of seconds. Martin Cairns had a spin and had to reverse. Frank Wray is still struggling with his power-steering but is confident of being able to fix the problem in service. Sean Devine literally passed the front door of his house but sometimes familiarity breeds contempt and he had a big moment near his house! Philip Allen was among the top times once again while Mark Massey is getting used to his pace notes. Alan Smyth reported a clean run although he thought he drove better through the first stage. Kevin Eves had a little moment and reckons he might have damaged a rear shock absorber . 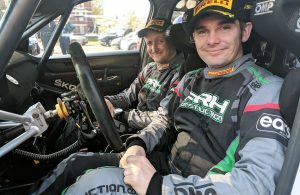 Ryan Loughran, who was an impressive fourth overall after stage one, is struggling with a clutch pedal that keeps “going to the floor”. 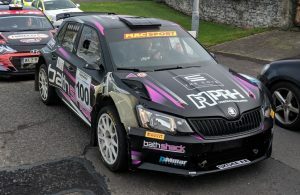 Crews are now on their way to service in Strabane before tackling the next loop of stages.